Ross formed Desert Safaris LLC while attending college in 1994 as a part time venture for his love of hunting and the outdoors. Rapidly his business grew from only a small ranch and few clients to one of the largest hunting operations in Texas facilitating over 4000 hunts in the past 21 years on a land base on 500,000 plus acres of private land. 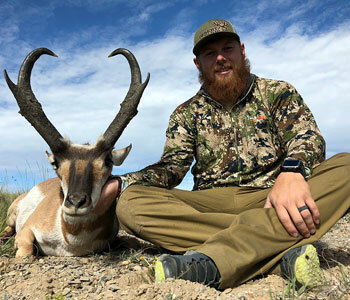 Constantly networking with private landowners and researching leases for his business allows him to pass on some of the best trophies produced annually in the state of Texas and New Mexico. He spends over 250 days a year on his leases guiding clients and making sure every last detail is attended to thus providing you the highest quality hunting experience available. Hunter has hunted throughout the world including 13 foreign countries and 6 continents in pursuit of big game. He, his wife Denise and two children (Kennedy and Bridger) reside and base operations in San Antonio, Texas. 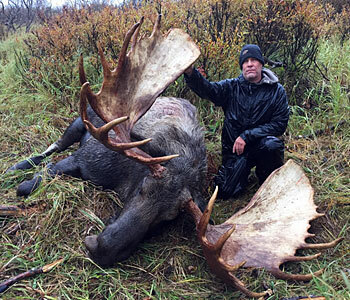 John is a seasoned outdoorsman and guide as well as one of the best taxidermists in the industry. 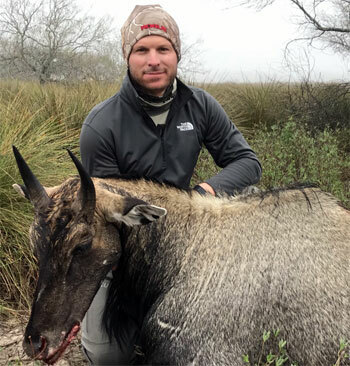 Native and raised in Michigan his specialty is guiding aoudad sheep and desert mule deer for Desert Safaris in addition to mounting the majority of our customers trophies. His positive attitude and upbeat personality makes him an asset in camp and enjoyable to hunt with. Let him put his knowledge and expertise to work on your next hunt with us. He runs several camps during our busy seasons and he and his family still reside in Battle Creek , Michigan. Extremely versed in wildlife management, Jared has a Wildlife Biology Degree from New Mexico State University and has guided some exceptional trophies for the biggest names in the business including multiple governor tags. We were fortunate to obtain his services in 2012 and Jared's track record is proven daily in the field with his perseverance and "hunt hard" attitude. He is very focused and knowledgeable on game quality and high hunter success rates with clients in the field. His vast knowledge of game, wildlife behavior and ranches is unsurpassed in the industry. He currently resides in New Mexico and guides for the operation 6 plus months a year with all aspects of big game we offer. Not only an asset to our operation but a close and dear friend to all personally and at Desert Safaris. 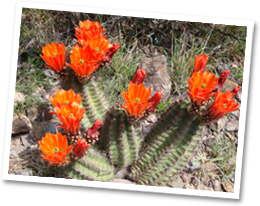 Cully and his family own and lease numerous ranches in the Texas Hill Country and his expertise with ranching and wildlife is second to none in the industry. His outgoing personality and ability to spot wildlife is an amazing sight to see in the field. 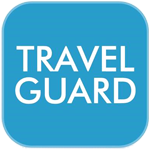 His connections to the exotic aspect of our business has been an enormous asset to our business. We lease some his families property for our Axis Deer and exotic operations annually. Cully and his family members are veteran outdoorsmen and live to spend time in the field hunting, guiding and looking for Indian artifacts when not busy ranching or helping clients. 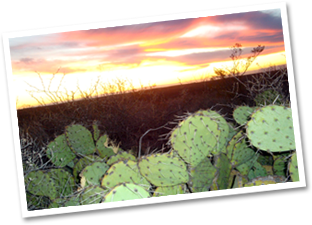 Luke, a San Antonio native is an active outdoors person as you will ever run across. An accomplished pilot with his own aircraft he is on the go constantly. He is very active flying, traveling and guiding hunters for Mule Deer and Aoudad Sheep. 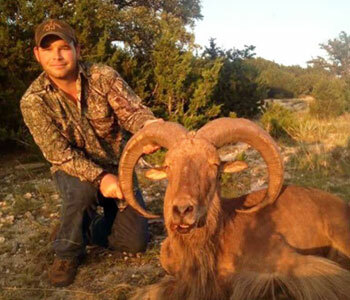 We are fortunate enough to have obtained his family's ranch in West Texas for one of our signature hunting leases for Aoudad Rams. Luke's outgoing personality, dedication and honesty will soon not be forgotten when you hunt with him. He spends the majority of his time between leisure time in Colorado and managing the family ranch in the Trans-Pecos region of the state. 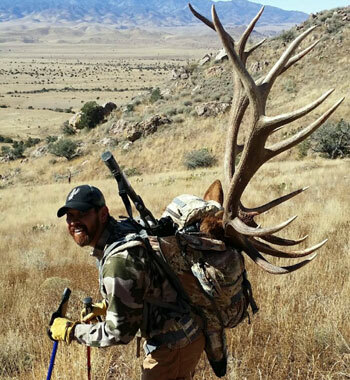 A passionate sportsman, Chad lives in the heart of mule deer country in the Four-Corners area of New Mexico. Researching new areas for our operation, spending countless days scouting, shed hunting and communicating with current and potential clients, he is a tremendous asset to our business. 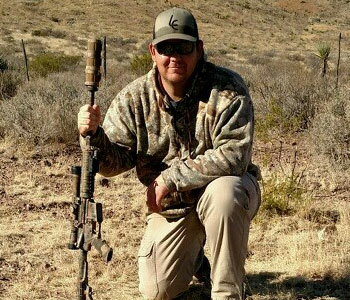 He works in the oil & gas industry full time, yet with his busy schedule is able to take time off each fall to guide mule deer and pronghorn hunts for us in his home state and our area in the Panhandle of Texas. Let him put his knowledge to work for you on your next big game hunt with our operation. His motto is "come as a client and leave as a friend". 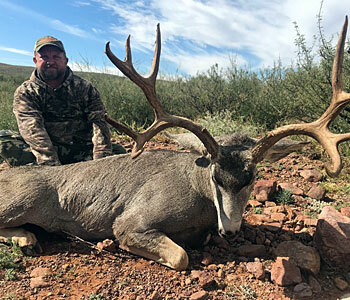 Raised on his family's West Texas ranch, Tate is no stranger to hunting big game in the desert southwest region of Texas. His outgoing personality, work ethic and wildlife knowledge of the area will present you with the opportunity you've been waiting for. 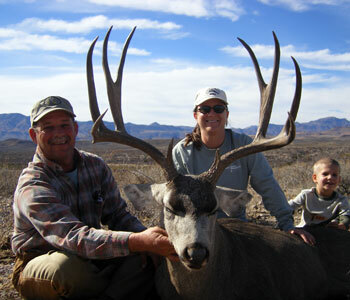 His specialty is guiding mule deer along with aoudad sheep and consistently produces some of our best trophies annually. He and his family reside on a ranch in the Trans-Pecos and when not guiding for our operation he's working cattle or team roping. Tate's energy and great attitude are endless and is one of our most requested guides...one hunt and you'll know why. Robert grew up in Central Texas on his family ranch so its only natural that he is addicted to the outdoors. A Tarleton State graduate with a degree in Wildlife Management and being raised by a family with great passion for hunting reinforced Robert's own desire to hunt an eventually guide commercial hunters. As his 7th year full time with our operation he is active guiding mule deer, aoudad and elk hunters while overseeing our full time wildlife feeding operation on our ranches in conjunction with predator control. His passion for hunting, guiding and the outdoors is certainly contagious and our clients find spending time with him in the field enjoyable and rewarding. Tim a New Mexico native has been guiding our operation for 5 seasons and is no stranger to big game hunting with a passion for the outdoors like you've never seen. "Ive always been a hunter, and I'll always be a hunter". Spending countless weeks in the field annually for Pronghorn, Mule Deer and Elk he never seems to get enough and always trying to improve your success and the quality of the hunt during your stay. Tim's field judging abilities of big game is the best to be found anywhere and correlated with his outgoing demeanor your are entrusted with one of the best guides in the business. We are fortunate to have such as team of professionals and Tim is certainly no exception. Bobby is a Texas Native with an extensive background in wildlife management and whitetail breeding operations while previously working on multiple exotic game hunting ranches before coming on board with us in 2017. 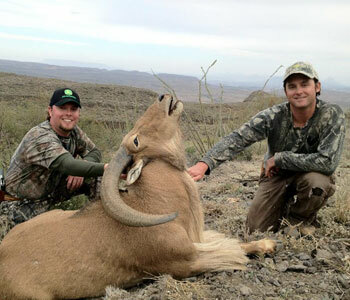 He specializes in guiding for multiple exotic species, aoudad sheep, mule deer and elk on our vast leases. While he has a lot to offer our clients in the field he's always looking to benefit from the knowledge and experiences of others and make your hunt a memorable one. Bobby is also heavily involved year round on our deer feeding program and day to day operations with whatever need to be done to keep the camps rolling and in tip top shape. "There's nothing like taking someone on their next hunting adventure as the rewards are substantial". JJ resides in the heart of the hill country of Texas on a large ranch is our most recent addition to the operation, but he's no stranger to the industry or big game hunting. He has grown up hunting his entire life and is nationally known as one of the most reputable aerial game capture people in the business. JJ has trapped and transported, sold and traded more game animals than anyone in the business and is literally a walking encyclopedia of game knowledge and habits. His guiding abilities and knowledge to put your on your species is second to none and your hunt outcome is certainly guaranteed 100% successful. 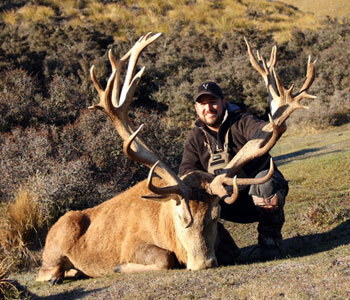 "For me, there's nothing more gratifying like getting on a mature trophy animal and taking him at his own game". The guides employed by Desert Safaris have combined over 150 years of guiding and hunting experience in the field. They have a vast knowledge of game habits, field Judging trophies, ranch and leases, client relations and know what it takes to deliver a first class experience with proven quality results season after season. Our staff feels that if it's done right the first time and our client has a positive outcome they will always come back. 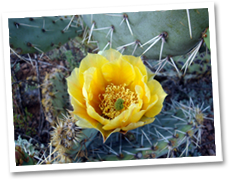 Put us to work for you and "experience the Desert Safaris difference". "I have hunted with Desert Safaris in both the US and Mexico, and Hunter and his crew always sent me home with great trophies. 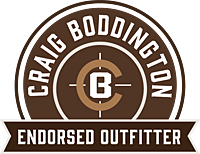 Ross is a detail oriented outfitter that has "been there and done that", and he knows how a hunting operation should be run. From quality properties and animals, to equipment and staff, Desert Safaris is absolutely one of the best outfits I have ever hunted with." Hunter's clients...we left the ranch as good friends!" operation is second to none." "This is one of the most overlooked hunts in the U.S., true field sport. 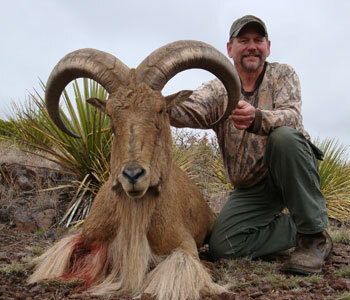 Even if you can afford hunts in Alaska and the Cassiars, you'll want to add a trip for heavy-horned aoudad with Desert Safaris to your bucket list!."